On 7 December, a public dialogue on the European Single market was held in cooperation with a leading policy think tank in Dublin, the Institute for European Affairs. In his presentation, Niall Bohan from DG Internal Market outlined economic benefits that flowed from the Single Market in the 1990s and beyond, while emphasising that it would always be ‘unfinished business’, as economic conditions evolved. Current challenges to Single Market objectives include new financial vehicles operating cross-border, administrative capacity limitations in recent accession states, and external ‘shocks’. Looking to the future Bohan saw globalisation as a continuing challenge, but also a powerful incentive to consolidate Single Market goals. He did not envisage harmonisation of corporate taxation any time soon despite proposals being floated in Brussels. A lively discussion ensued, guided by Alan Dukes, Director General of IEA (but due to retire on 30 December 2007) and a former leader of Fine Gael in Ireland. 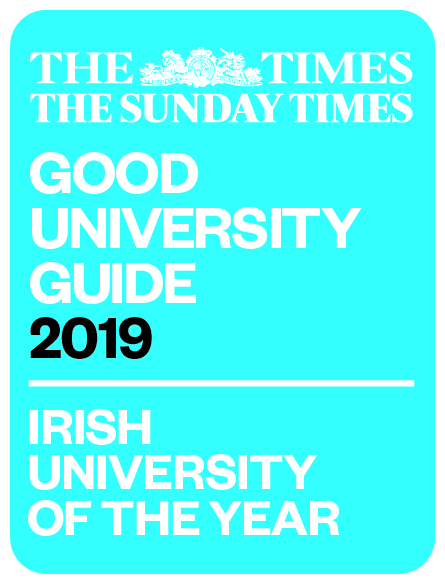 Two Irish universities have made it into the top 200 universities in the world according to the recent THES index. Trinity College Dublin ranked 87th, and Queens University Belfast took 185th place. Twenty percent of the score was based on universities’ research impact; 20 percent on staff-student ratio; and 5 percent on ability to attract foreign students; and 5 percent on attracting top academics. Limerick University ranked in the 440s, and was specially burdened by its relatively low foreign student intake, and high staff-student ratios. Despite its urban environment (or possibly because of it) DCU has now pulled well ahead of UL. On a more positive note, however, UL’s Strategic Plan 2006-2011 envisages a doubling of PhD output by 2013; a 50% increase of first class publications by 2011; and a 30% increase in FP7 project participation over FP6. In addition, the Plan foresees a time when 35% of all UL graduates will have spent a semester abroad. Challenging times undoubtedly lie ahead for the University as it aspires to move up the world rankings. Exciting times lie ahead for students in the BA European Studies. Although it’s the oldest degree in Humanities, it has always adapted to changing needs. New options are being made available now for fourth years; and plans are underway to establish a “core” of modules that will give the degree a stronger sense of identity. Also, in response to student career needs, there will be more emphasis on transferable skills. All over the world, instantly recognisable “European Studies” degrees (graduate and undergraduate) are opening up in response to EU influence as a global actor. Here at home, recent surveys in the local schools reveal a continuing and positive ‘brand recognition’ for degrees containing these ‘European’ elements. Meanwhile, final year BA European Studies students are again competing for a prize which will (as last year) encourage them to apply a transdisciplinary perspective to their Final Year Projects.